We often hear that as Christians, one of the great privileges we have is in making an impact for the Lord. Impact mostly comes from influence, which can be made either through force or through wisdom. Influence in turn can be made in one of seven mountains (arts and entertainment, business, education, family, government, media, and religion). For Christians, we recognize that influence ultimately comes through the work of the Holy Spirit. Ideally, the Holy Spirit must prevail on every one of these mountains, and some Christians have roles in more than one mountain. Recently, last Sunday in Glad Tidings PJ, Reggie Lee released his new film ‘Elephant in the Church’ to great anticipation. Who is Reggie Lee and what is so special about his films? The Lauching of ‘Elephant in the Church’ at Glad Tidings PJ. Reggie Lee is a former chef, born in Penang but now living in London, also now serving in a wider capacity for the Lord. At the end of this year he plans to launch a cookbook, but already for ten years, Reggie has been itinerant, traveling from church to church, city to city, country to country, to teach, preach, evangelise, and responding to whatever the Lord has called him to do. An area of expertise for Reggie is the Book of Revelations, and he has himself written three books to date. It is through his movies, however, that he will be instantly recognizable to many people, including non-Christians. In 2010, he released the movie ‘Who are the Chinese?’. During the launch of his latest film, Reggie shared that he considers himself foremost either as a pastor or a chef, not a filmmaker, and there were challenges in the early stages of his filmmaking career. Firstly, he needed money and he had no such large amount of money. Secondly, he needed to write a script and he did not know how to do so. Thirdly, he needed a large team consisting of a wide variety of professions including a logistics manager and a director. Reggie, however, knew how to trust the Lord and the Lord has led him on a miraculous and providential journey of discovery in this area of his life. When there were challenges in finances, God would send people who voluntarily sponsored the sum necessary. LiveWire! Media Sdn Bhd came along to help produce and make his films possible. Reggie shared many testimonies of how God has blessed and guided him through their making. The film ‘Who Are the Chinese?’ traces the roots of the Chinese people and presents evidence that we are the people of God, something which is reflected even in the characters of the written Chinese language. It has been watched by millions of people in multiple countries, and the Hong Kong actress Fung Bo Bo was so blessed after watching it that she volunteered to sign on as the narrator for the Cantonese version free of charge. This version will be out before Chinese New Year. In 2014, the film won the prestigious Best Mission Film Stellae Award, beating many other films which were themselves of great quality. After the success of ‘Who Are the Chinese?’, recently Reggie Lee launched his second film ‘Elephants in the Church’. What is ‘Elephant in the Church’ about? Reggie Lee communicated that the film is intended to combat the evils of what is known as the Replacement Theology, something which Reggie said is unfamiliar to many people but which is doing a great deal of damage. Principally, however, I understood that Reggie has a heart of compassion for a certain distinctive group of people, and what he was fighting against was the effect of this theology. The Replacement Theology first cropped up in 105AD. Basically, it teaches that the crucifixion and resurrection of Christ had established a New Covenant with God’s people, and that the Old Mosaic Covenant had been fulfilled and ‘replaced’ by that New Covenant. This is a major theological stance of many mainstream churches, but it has also had adverse effects on our views of the Jewish people and Judaism’s current status. Because this theology holds that the Jews had been replaced by the Church as God’s chosen people, it has affected the way many Christians regard and treat the Jewish people. Reggie showed through clips from the film of the churches’ mistake during the Holocaust. When Hitler came to power and established Nazism in Germany, he implemented what was known as the Final Solution. 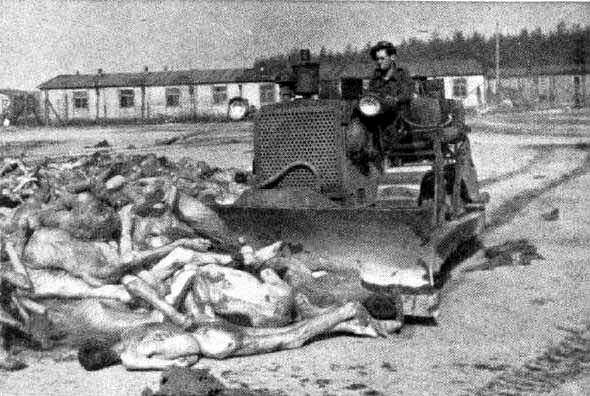 Millions of Jewish people were murdered and the piles of bodies were so huge that the Nazis used bulldozers to push their bodies into mass graves like rubbish heaps. Reggie Lee shared that many churches kept quiet during this whole period of history, and many are still ignoring this huge question in their midst; the ‘Elephant in the Church’. How are Christians to treat the Jewish people? Have they been replaced by the Church as God’s chosen people? Reggie communicated that these are important questions, and the film is scheduled to be launched in many nations such as the US, Europe, and other nations. Besides this film, there are many other projects in Reggie’s pipeline, among which are the 1st project of Evangelistic Animation for India and the rest of the world. “When ‘Who Are the Chinese?’ was released, many people asked ‘What about the Indians?’. This is my acknowledgement and gift of gratitude for the support I have received from many people,’ Reggie shared. Reggie Lee’s upcoming projects will include an animated evangelistic animation for the Indians. Other upcoming film projects include ‘Revelation: The Movie’, ‘Who Are The Chinese Part 2’, ‘The Other Side of the Coin’, ‘Amazing Testimonies’, ‘Why Don’t You Give Me A Chance?’, and short videos for YouTube as well as animated stories from the Bible. All finances that come in for Reggie Lee’s projects and through his films will be channeled for the Holy Land, India’s education, other countries according to needs, and poor pastors in Indonesia. For updates on funds, expenditures, and the filming projects, you can visit the website www.endrevelation.org or through email contact at potbless@yahoo.com.